Forget the typical art party scene. 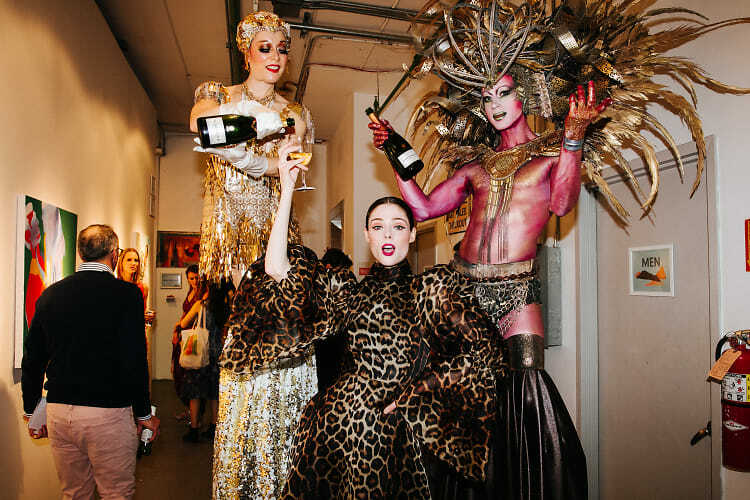 At the New York Academy of Art's 24th Annual Tribeca Ball, drag queens, stilt walkers, and body-painted performers kept the Champagne Bollinger pouring into the cups of Liev Schreiber, Coco Rocha, Naomi Watts, and Brooke Shields while they browsed contemporary art pieces which included painted renditions of sexts, trippy portraits, and even a smoking fish. Produced in partnership with Van Cleef & Arpels, this year's event honoring street artist KAWS was as star-studded as ever, though you've never seen such a slow parade of glamorous people clacking down stairs, holding onto the railings for dear life. How there's never been a socialite casualty at these parties, I'll never know. But they sure do keep coming back. Click through for a look at what you missed!